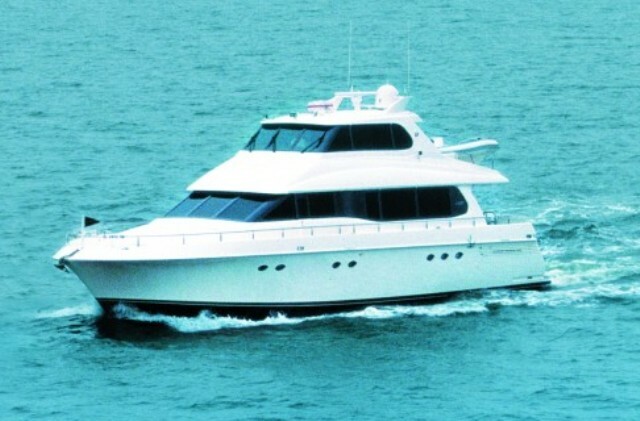 Motor yacht ANDIAMO was launched by Lazzara yachts in 2002, the yacht measures 23.1m (76ft) and accommodates up to 6 charter guests in 3 double en-suite cabins. 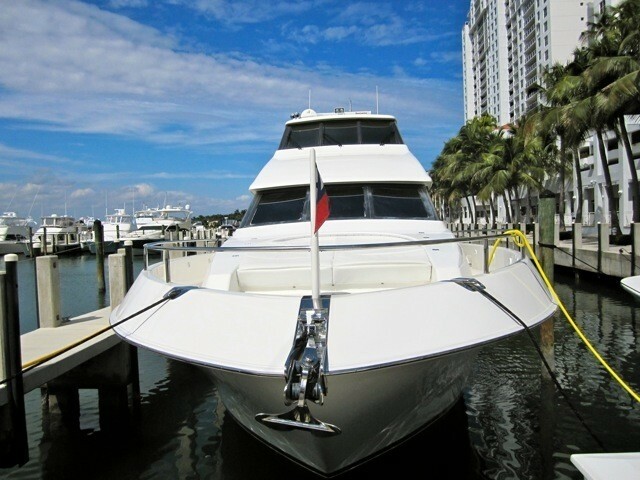 M/Y ANDIAMO is available for yacht charters in Florida and the Bahamas and has a professional crew of 3. 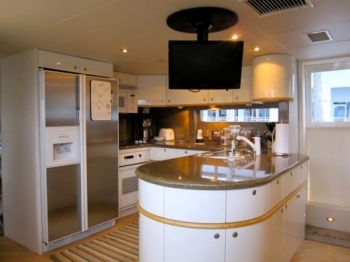 Charter yacht ANDIAMO has a contemporary elegant interior, with much focus on fine detailing and airy light spaces. 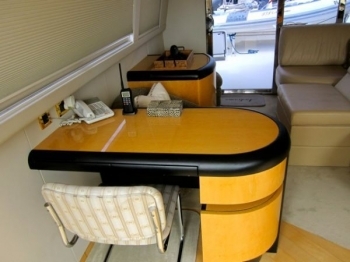 The salon and dining are an open plan, with a comfortable lounge aft featuring a large L shaped sofa, 2 occasional chairs, coffee tables and full entertainment center. 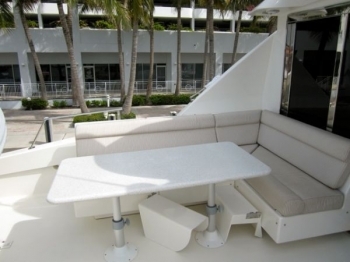 Forward, the formal dining space seats 6 guests in true style. 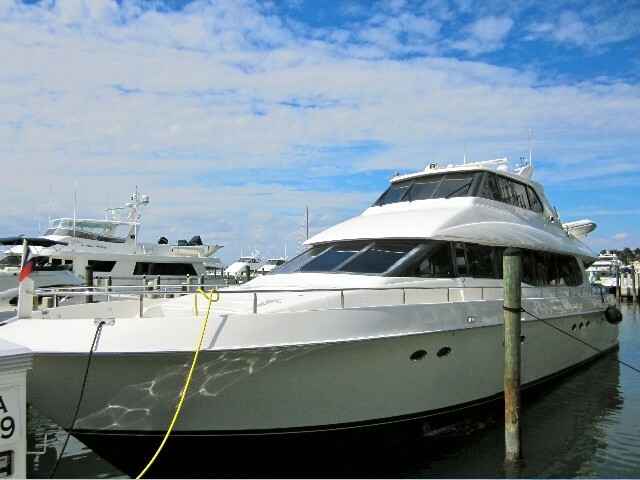 Guests wishing to dine alfresco will enjoy the aft deck, which is adjacent to the salon, through wide sliding glass doors. 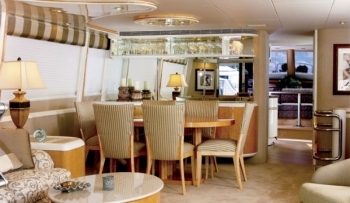 The galley aboard the ANDIAMO motor yacht is forward and separate of the salon, boasting a country style layout with an additional casual dining space. 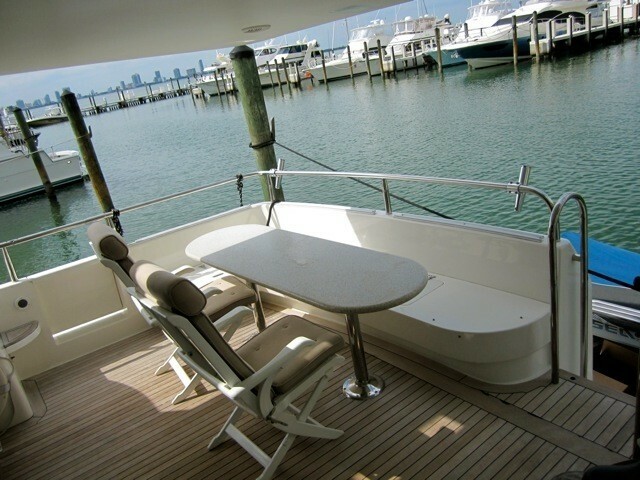 ANDIAMO offers panoramic windows throughout the main deck, enabling plenty of natural light to enhance the spacious feel. 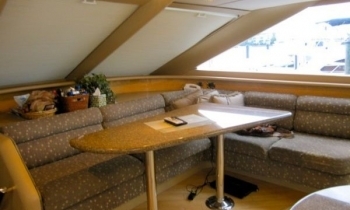 Above the main deck, the upper deck features a skylounge with sofa, ottoman, desk area and optimum views. 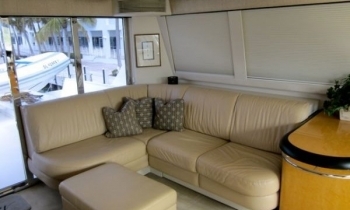 Aft of the skylounge the open deck is ideal for relaxing with a book or catching a tan. 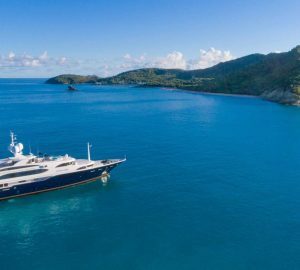 Motor yacht ANDIAMO has a beam of 5.8m (19.1ft) and a draft of 1.4m (4.6ft), making her the ideal choice for families and friends to explore the Florida coast, Keys and shallow Bahamian waters. 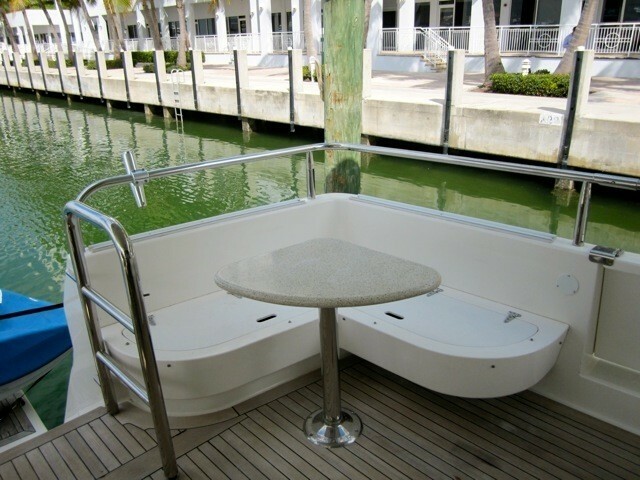 For water enthusiasts, yacht ANDIAMO offers and extended swim platform, ideal to enjoy the fun water toys on offer. 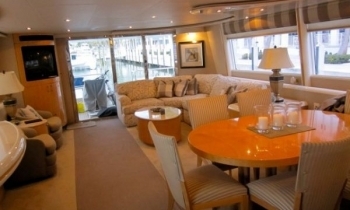 Charter yacht ANDIAMO can accommodate up to 6 guests in 3 double en-suite cabins. 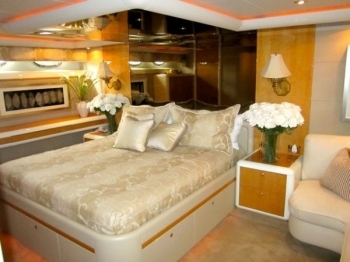 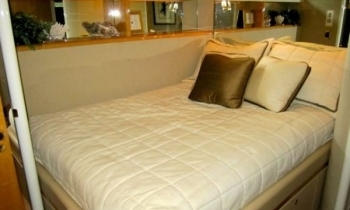 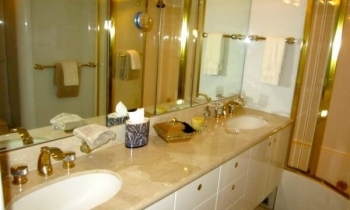 The master stateroom is amidships with a center lined king size bed, love seat and marble en-suite with shower and deluxe Spa Pool tub. 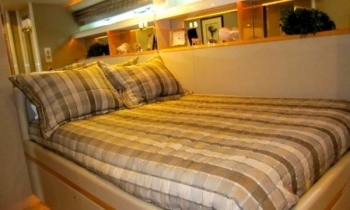 Two further guest cabins offer queen size beds and en-suites with shower facilities. 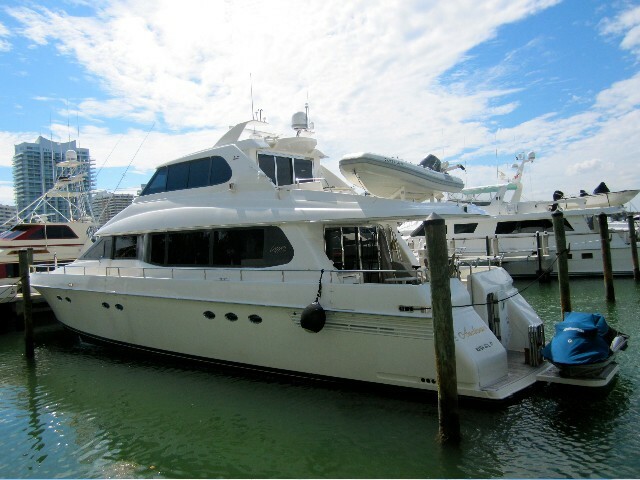 The 76ft ANDIAMO yacht has a Tender, 1 x Sea Doo, 1 x Jet Ski, Snorkel gear, Fishing equipment, Towing toys, TV and music entertainment in the salon. 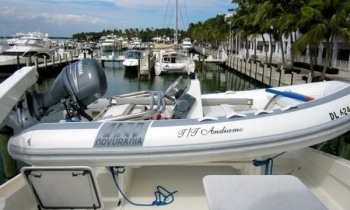 In 2013, ANDIAMO was fitted with Wesmar stabilizers to ensure a more pleasurable relaxing charter experience.